Special day for our family. My mom is having a birthday and if anyone is the center of an extended family – it is her. She does everything and has always done everything. She’s a social butterfly and attentive wife, mother and grandmother. Now that I’m writing this post, I wish I had a good picture of her to include…. darn. My parents also celebrated their 50th anniversary this year. I thought I would do a post today to accomplish two things at the same time. 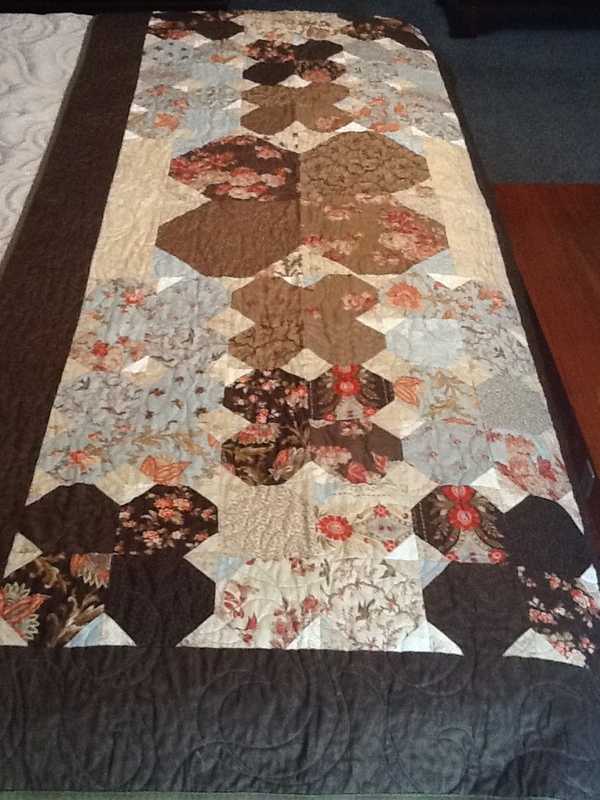 1) Honor my mom’s birthday and showcase the prior quilted items I have made in the past for her, and 2) update more items to my Quilt History page. 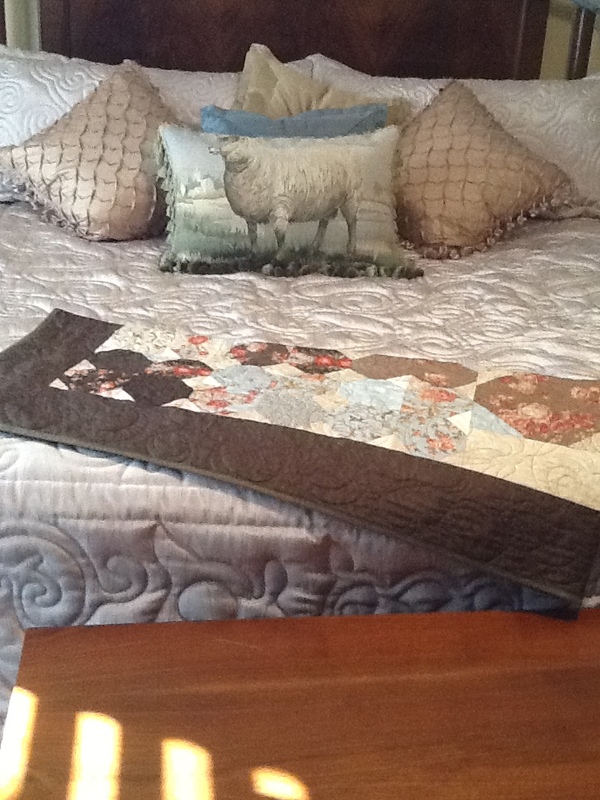 First up is a bed runner I made for her. I think it was a Christmas gift for 2011. NO LABEL!!! !@#$@#$! I guess I can still make one and attach it. The colors go great with her neutral toned bedding. The fabric is Park Avenue by 3 Sisters and I got the pattern from the book “Bed Runners using Precut Fabrics” by Kathy Brown. My mother is also a retired English teacher, so I need to comment that I know I should underline book titles, but I don’t have that option in my free WordPress application. I gave her the coordinated fabric covered buttons as an option, but she decided to leave them off. They would have gone in the center of each “flower” block. This is on her actual bed. I was under a time crunch and I wasn’t confident enough to do the quilting myself yet, so I just gave her the quilt top with the backing/binding material in her gift. 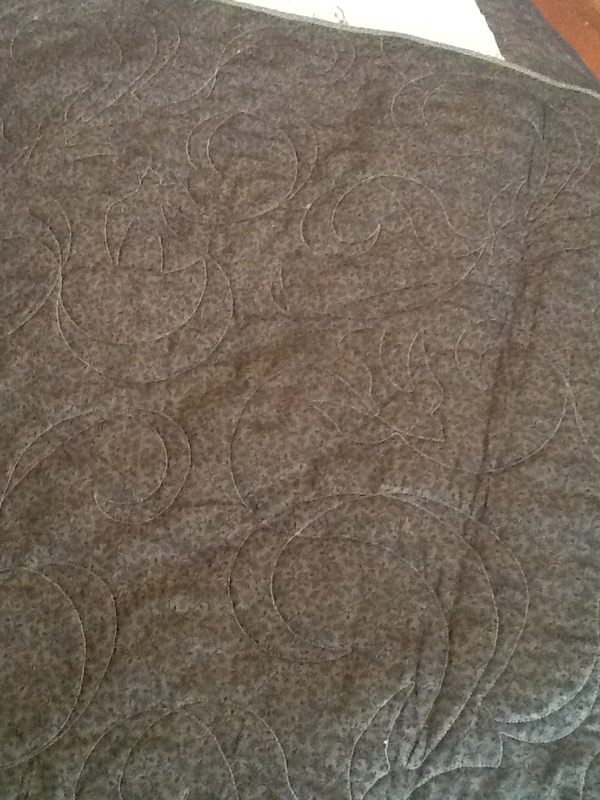 She had it quilted locally and the woman selected a dove/bird motif as the pattern. 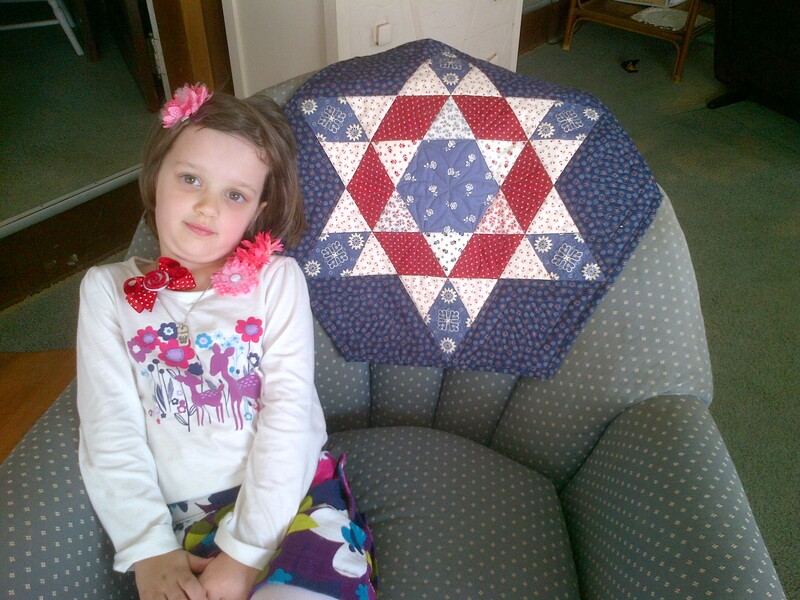 The next one to show you is a table topper I made her on July 4th, 2012. I started this project when I got home one night from work and stayed up all night to finish it, and free motion quilt it myself! 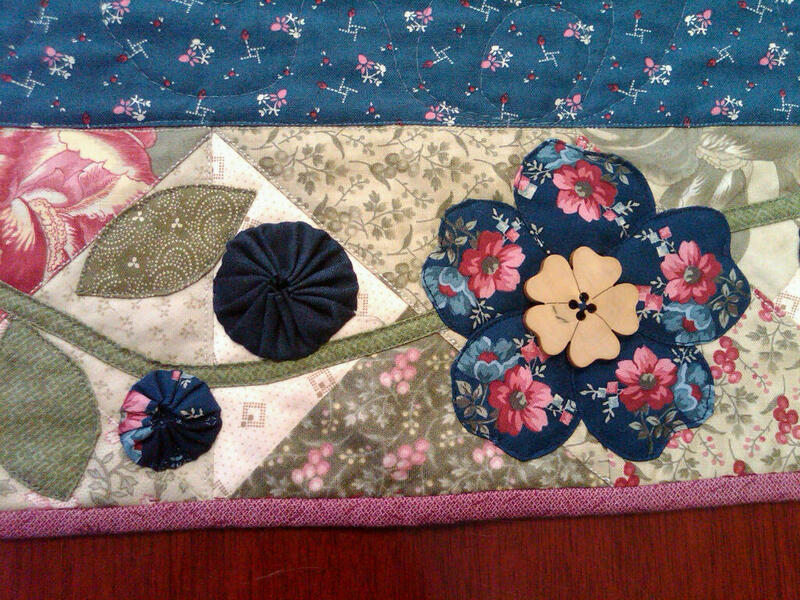 I did the binding by hand and completed the label applique on the drive to her house that next morning. 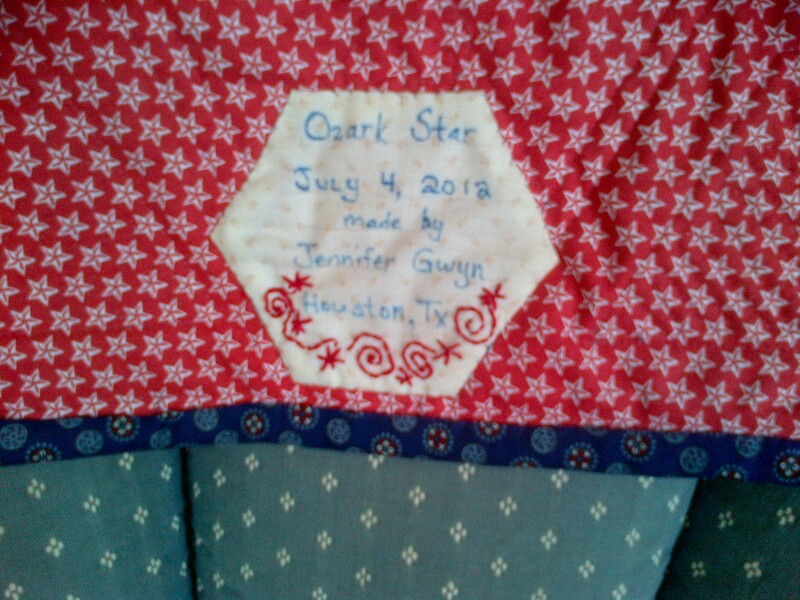 It is called Ozark Star and the pattern is by Fons & Porter. They did a segment on their show one day on this project and I really liked it. Since it was 4th of July, I found some great fabrics I had in my stash by Anna Griffin called Fleur Rogue along with a random charm pack and yardage that was also patriotic looking. Nora loves her hair clips. Not just for hair apparently! I even threw some fast embroidery on the label to try and spice it up. I think this backing fabric was a juvenile print called “Rescue 911” if I recall correctly. Another table runner that I made was documented extensively on my blog already … it was the quilt along I did with Pam Buda called “Forget Me Not”. 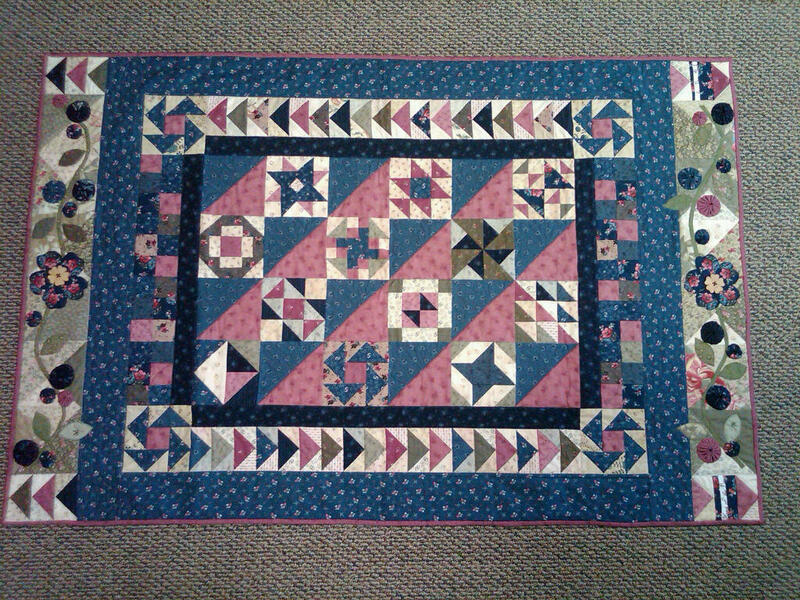 Here’s the finished quilt runner, but you can click on my tags to the right and see all the posts relating to this quilt. I gave this to my Mom on her birthday last year, 2012. 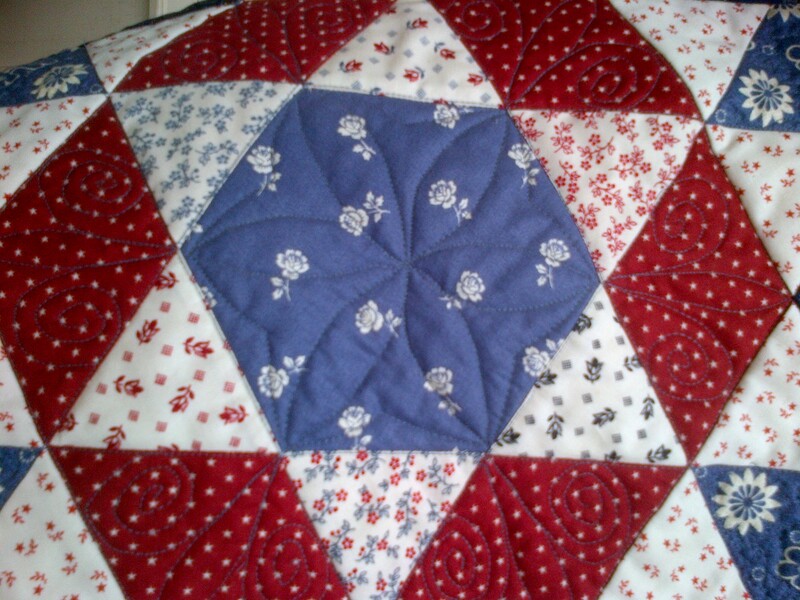 I still love this quilt and the details I put into it. Like the wooden forget-me-not flower button. Finally… I have tried and tried to remember if this was my FIRST quilt or my SECOND. 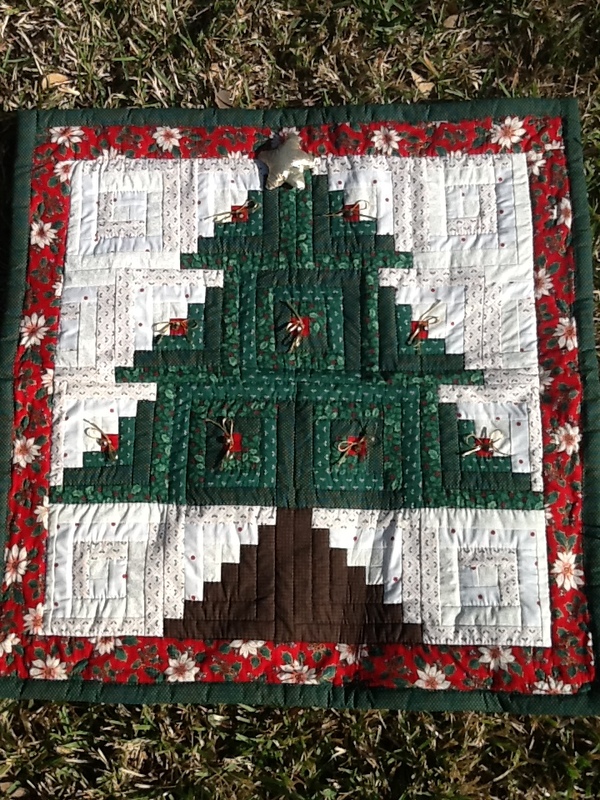 The other option is a king size Christmas log cabin quilt which I haven’t shown you yet. But… I think this might be the second. I didn’t label it, so there you go. LABEL YOUR QUILTS! Complete unknown fabrics from Hancock Fabric and WalMart. ← Fell hard, fell fast! 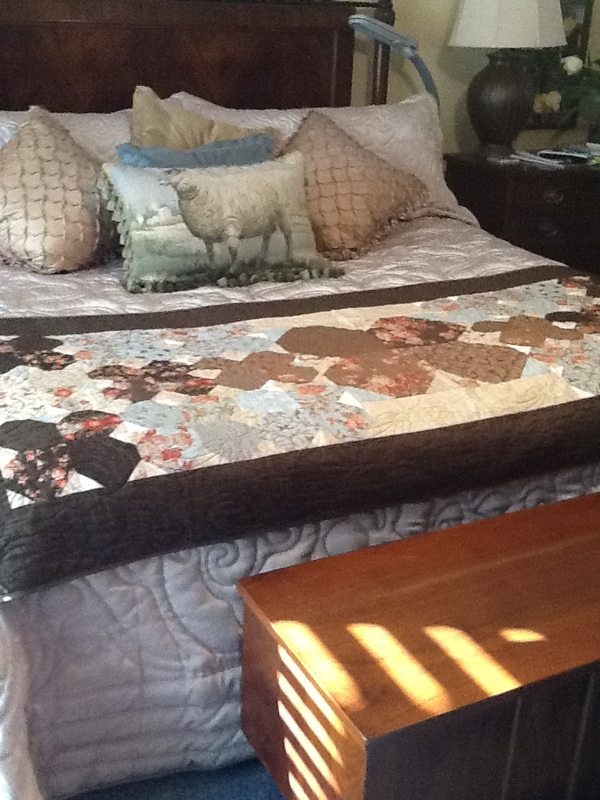 The bed runner you made for your mom is fabulous! Gorgeous work, and it looks so pretty on the foot of the bed. Thank you Nicole! I appreciate the compliment!